Reflection of the Big Dipper consists of built up layers of paint with dripped enamel as the final touch, concluding the composition. 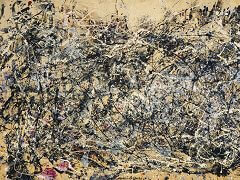 It was around 1947 that Jackson Pollock traded in his brushes for sticks, trowels and knives and began adding foreign matter, such as sand, broken glass, nails, coins, paint-tube tops and bottle caps to his canvases. 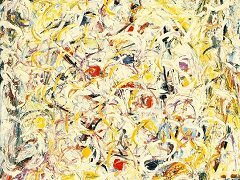 From this point on, Pollock's application of paint became his main theme, which he tried to radicalize. 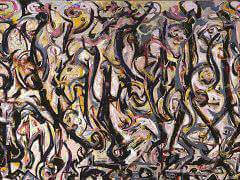 With the body of work he thus created, Pollock found a unique position within the concurrent Abstract-Expressionist movement. 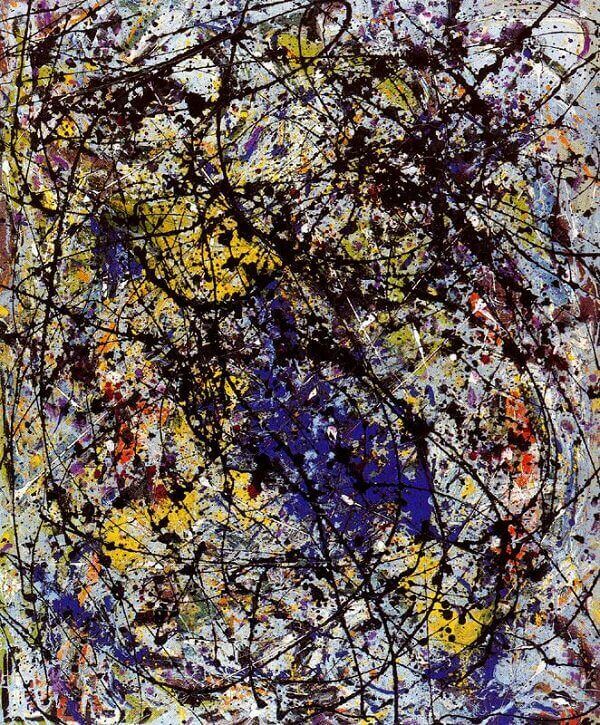 Reflection of the Big Dipper was exhibited at the Betty Parsons Gallery in 1948, along with sixteen other paintings by Jackson Pollock. 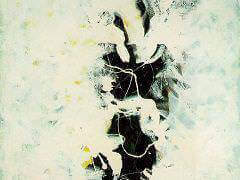 The show received positive reviews. 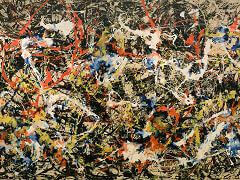 Pollock's works from this time are a transitional step between a more traditional handling of paint and his revolutionary technique of dripping paint on canvases off a large scale. My painting does not come from the easel. I hardly ever stretch my canvas before painting. I prefer to tack the unstretched canvas to the hard wall or the floor. I need the resistance of a hard surface. On the floor I am more at ease. I feel nearer, more a part of the painting, since this way I can walk around it, work from the four sides and literally be in the painting. 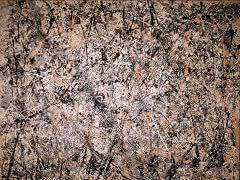 This is akin to the method of the Indian sand painters of the West." 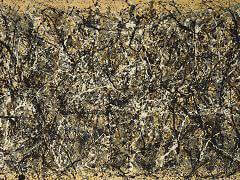 The thousands of tiny droplets of color scattered across the surface of this picture must have reminded Pollock of Long Island's clear night sky. 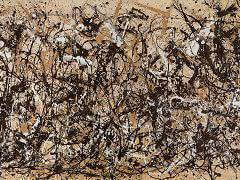 Copyright © 2011-Present www.Jackson-Pollock.org. All Rights Reserved.